You are so proud of them on this, their special day. Graduation Poems from the collections of My Word Wizard mark the occasion with tender, reflective words of praise. It is so gratifying to see them develop their personalities at such a tender age, or grow into fine young adults. Your support for them has paid off tenfold. This is not only their moment to shine; it your moment to sit back and feel your own sense of accomplishment on a job well done. Of course, we use the word job in a figurative sense, but we think you know exactly what we mean. Whether they're your own or just a person you care about, let them know just how much you believe in their future with these words of recognition and joy. 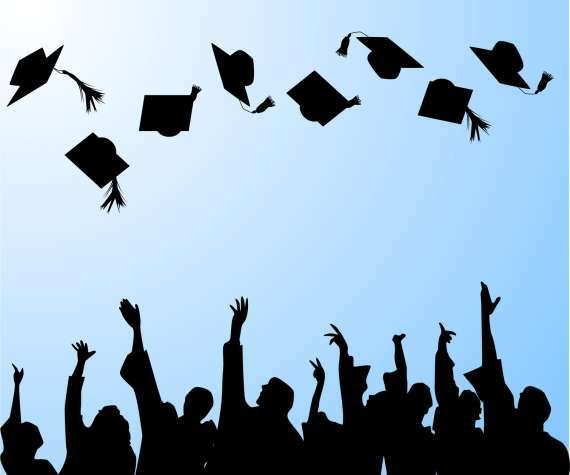 Graduation Quotes : They have achieved so much in their scholastic career, and now it is time for them to be recognized. The writers at My Word Wisdom have assembled some of their favorite inspirational quotes and sayings pertaining to graduation. We have put them all together in one very special collection. We hope they inspire you as much as they have inspired us. Congratulations! Poems for a Graduating Daughter : She's gone from diapers to dolls, and dolls to diploma in such a short span of time. Where do all the years go? Let her know how much pride you have in her educational achievements with one of our poems that celebrate a daughter's milestone. Preschool End of Term Poem : It's the first stop on their educational journey. This precious collection from the writers at My Word Wizard marks a very special time in a young child's development. So, praise them for a job well done and look ahead towards a bright future. Congratulations. Quotes or Poems on Graduation : It's an educational milestone, and the writers at My Word Wizard have crafted the perfect sentiments to express the importance and the joy that surrounds this wonderful event. Let them know how proud you are.